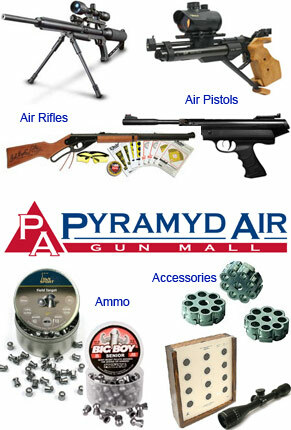 Pyramyd Air affiliate program: We do the work, you make 5% on each sale! Download our product info & images. Your customers click on products and place orders. Pay you 5% on each sale. After 100 sales, we pay you 6% on each sale! Airguns and airsoft guns are the fastest-growing segment of the shooting sports. Get in on the action and start making money today! Click here to apply for your Commission Junction account. * No commission paid if customer uses a coupon.